Serrano's and MobileBytes - Perfect Combination for This New Venture! Serrano’s Mexican Grill has two locations, caters and delivers. What else could they possibly do? An awesome food truck! The food truck uses the MobileBytes point of sale system and runs on a PCI compliant cellular connection (ControlScan) that Jeff Wood expertly installed. They have one stationary point of sale station in the truck window and one “tableside” ordering iPad Mini workstation to take orders inside breweries. We believe MobileBytes is the best fit for their food truck, because the system is all run off the cellular solution. This allows them to take orders on the mini inside the breweries - and send the orders directly to the truck. Talk about efficiency and excellent customer service! Now with three locations, MobileBytes makes the account administration, menu building and reporting easily managed. 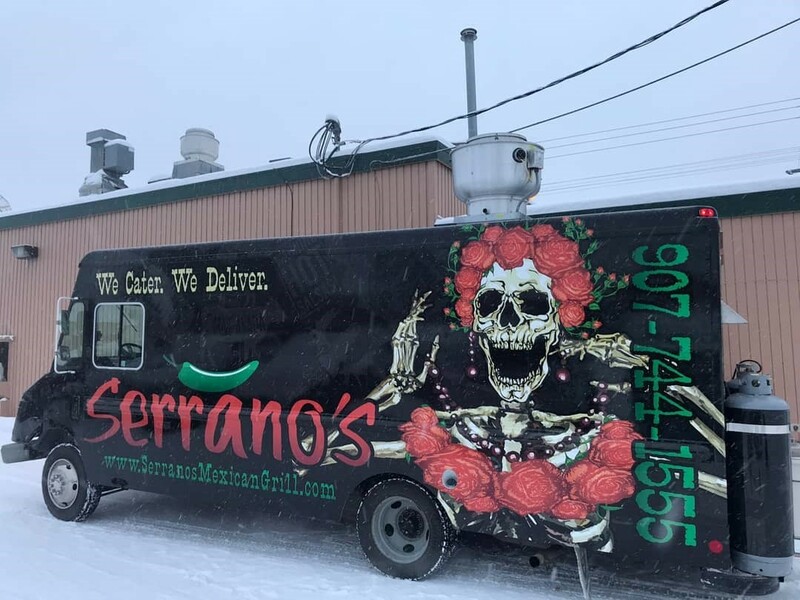 Congratulations to Josh and the staff at Serranos - and check out their Facebook page to find out where this awesome truck will be next.